As part of ongoing efforts to streamline its fleet management, Werner Ruploh KG has been relying on Trimble’s innovative telematics solutions since 2007. The logistics service provider has selected the CarCube for the second time, equipping all of the 210 lorries in its fleet with the latest generation. 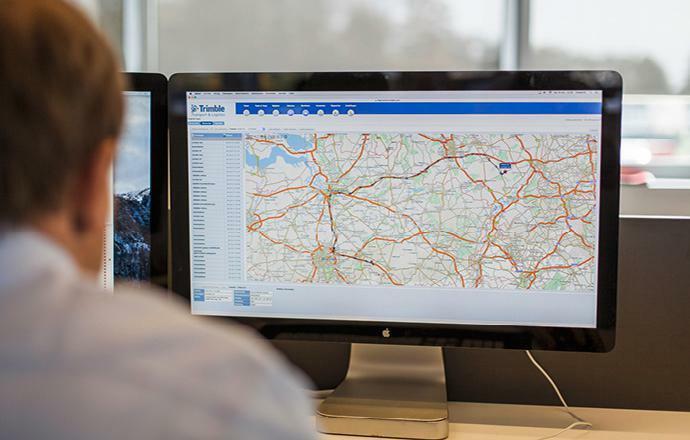 Trimble’s software solutions are also supporting Ruploh’s back office operations. In addition to the FleetCockpit and FleetWorks resource planning tools and fleet management applications, the company based in Beckum, Germany’s Westphalia region, is also using the Performance Portal. A cold and wet November wind is blowing over Werner Ruploh KG’s Beckum site today, scattering endless flurries of withered, brown leaves over the bare tarmac. The workers busy are replastering the area between the office building and garage have pulled up their collars and are silently working their way along the wall, stone by stone. However, Werner Ruploh is in excellent spirits. If you don’t go forwards you go backwards. There is always something to do here, it keeps us going. Before this, we renovated the offices occupied by our schedulers. 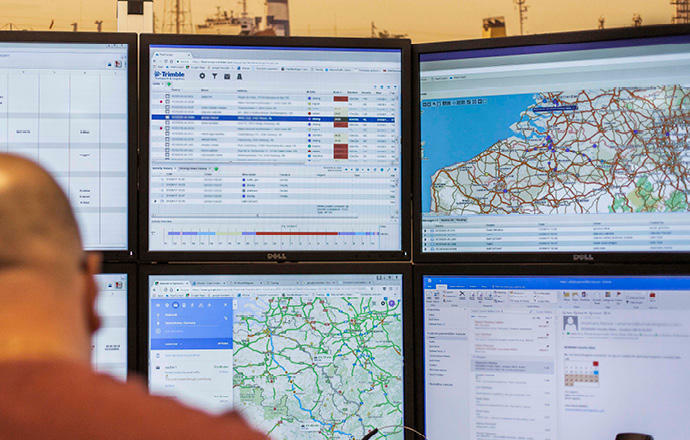 And before that, the Beckum-based bulk transport specialist equipped its entire fleet with new telematics software. A great deal of time was devoted to the task of identifying the most suitable solution for the company’s needs. In the end, as in 2007, Trimble’s CarCube onboard computer emerged as the clear favourite. “We conducted a thorough review, including detailed comparisons of the main systems on the market,” explains Ruploh. As well as demonstrating its worth as a reliable partner over the past eight years, Trimble once again presented the most convincing solution. Ruploh decided to remain a Trimble customer and continue using the CarCube—a choice that is already paying dividends. Without disclosing actual figures, I can say that the switch to the new Trimble system is having a positive effect on our operating income. The most important criterion in the selection process was the new system’s compatibility with the LIS solution “WinSped,” used by Ruploh for its transport operations. 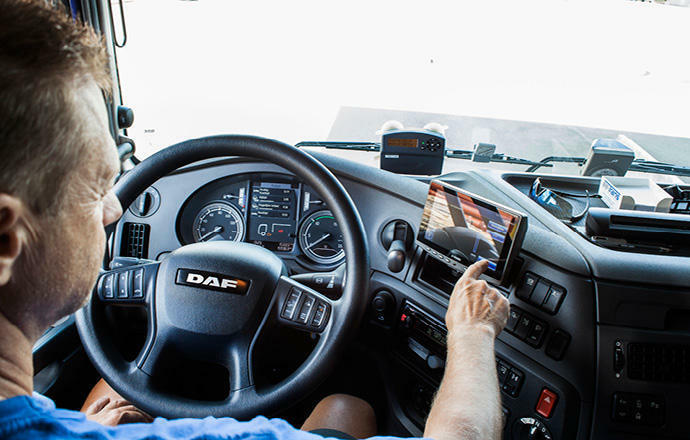 “Other criteria at the top of our list included efficient transmission of orders, improved communication between drivers and schedulers and the ability to read tachometer data online,” explains Ruploh. Prior to the search, Ruploh’s project manager Dominik Fröhlich had compiled a comprehensive requirements catalogue including all the criteria and more, which was then used as the basis for a comparison between a variety of systems from different suppliers. “All the signs were actually favourable for Trimble right from the start,” comments Fröhlich. In addition to technical aspects, service proved a particularly convincing factor for the Beckum-based logistics service provider. The next step in the selection process was a three-month trial phase, during which the Trimble solution was subjected to a thorough test by both drivers and schedulers. The final conclusion was then declared: “We wanted the Trimble solution,” says Fröhlich. Following special training from Trimble, Ruploh’s own technicians then began the task of installing the CarCube in all 210 vehicles. “Performing installations on a decentralised fleet is an organisational challenge in its own right. Not to mention the lost revenue when vehicles are off the road. Where possible, our aim was to avoid additional periods in the garage,” says Ruploh, explaining the approach. The entire fleet has now been converted to the new system and all features are operational. And it is already clear that CarCube, FleetCockpit and FleetWorks are meeting all expectations. Order transmissions are flowing smoothly and even the driving style assistant has been accepted surprising well by the drivers. This has even inspired a competition to find out who is driving the most efficiently and economically, supported by Trimble’s Performance Portal, which provides the data for in-depth analyses of driving behaviour and fuel consumption patterns. As a result, after just a short period of time, the company is already reporting significant savings. One feature that Ruploh finds particularly useful is the fully automatic and remote read-outs from the mass memory of the tachograph. The streamlined new process eliminates the need for vehicles to make an extra trip to the company’s premises. “A benefit that has even had scheduling staff quite literally jumping for joy,” says Ruploh. Gone are the days of laborious searches, they can now access a complete overview of all relevant information with a single click. As well as allowing them to provide customers and drivers with faster and more reliable information, this has also brought significant efficiency gains in vehicle resource planning and the accounting processes. Werner Ruploh Spedition is a bulk transport specialist based in Beckum, Germany, with a fleet of 210 vehicles. Werner Ruploh Spedition’s entire fleet is now equipped with the CarCube on-board computer.